With its hill-top Palace, stunning sea vistas and intimate restaurants, Monaco is one of the most romantic places in the world. But it also happens to be surrounded by equally alluring destinations. Here are five of the best romantic weekend breaks from Monaco. 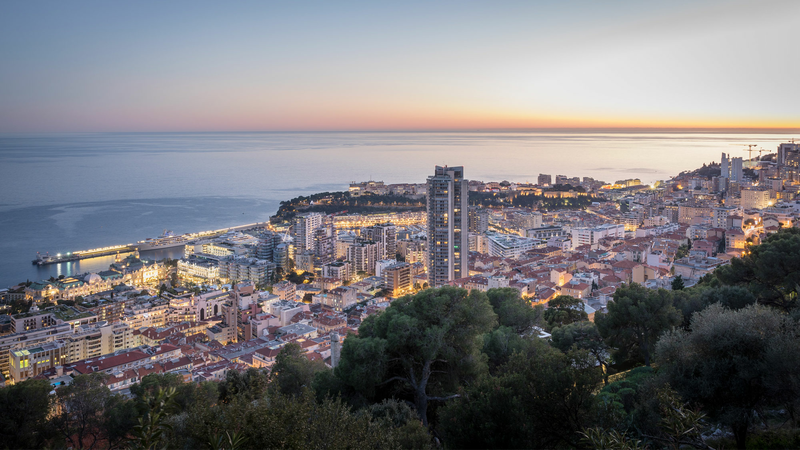 Paris may be France’s city of love, but Monaco offers couples romance in a blissful coastal setting nestled between the French and Italian Rivieras. The Principality’s residents are fortunate to have access to some of the most romantic places, restaurants and views in Europe. Valentine’s Day in Monaco can be as laid-back or formal as you’d like; from romantic strolls to formal gala balls, here are our suggestions for a magical 14th February. With the temperatures plunging outside, why not turn up the heat at the table of one of the superb Thai, Japanese, Indian and Chinese restaurants in Monaco? Eating out in Monaco may bring to mind images of Michelin stars, but restaurants in the Principality are not all about caviar and champagne. In fact, the newly opened Tre Scalini Monaco is a welcome change from the fine dining that we’ve come to expect in the Principality. Situated in the heart of Fontvieille harbour, Tre Scalini is a cosy little Italian restaurant, offering a real home away from home for the many Italians who live in Monaco. You would think that a bookshelf is just a place for books, think again. Beautiful interiors and impeccably curated shelves are once again high on the agenda - and nowhere more so than in Monte Carlo property.